The multi-disciplinary CosmosOperations team of experts develop high performance it solutions from concept to installation and operation. Our goal is to help where faster IT growth is needed. We support IT depart­ments in large-scale IT pro­jects, ensure opti­mized reali­zation and thus help com­panies to achieve con­tinuous success. We use our capa­bilities to create value for both our customers and our self. A successful long-term coope­ration can be built up only in this way. We focus on me­dium to large IT projects, where the need for our ex­pert know­ledge ist strong. The Cosmos­Operation logo con­tains the symbol of a double arrow as a combined word-/figurative mark. Through the superscript representation, this icon indicates a potency to convey mulitplied power and strength. 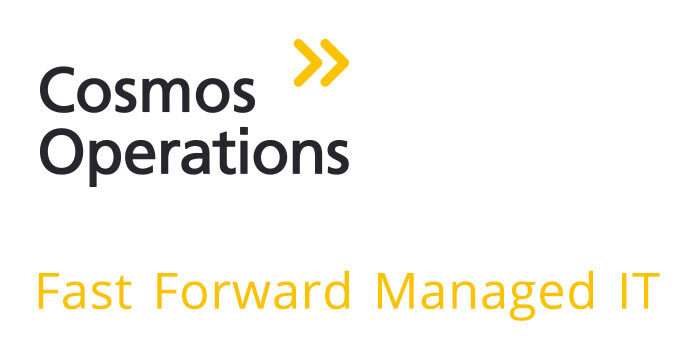 The forward double arrow represents a reference to the fast-forward button on devices to move forward (e.g., fast-forward on audio-devices), visually referring to the claim "Fast Forward Managed IT." The double arrow stands for our aspirations - to move forward at a high speed, to drive projects forward, to achieve rapid growth and quick success.